Are you running all over town looking for bedding that fits your decorating scheme? Wouldn’t it be nice to find just the right patterns and colours in exactly the style and size you want? Lemay’s Decorating Centre makes custom bedding designed especially for you ! Choose your favourites from our vast array of fabric samples, and Lemay's will sew bedspreads, coverlets, comforters, duvet covers, bedskirts, pillows, shams – whatever you need to your specifications. When you come to our store for custom-made drapery window coverings, we will discuss with you your interior decorating and window covering needs; Lemay's has at least 10 years experience in interior decorating, and will give you great advice and ideas on how to make your home look marvellous! 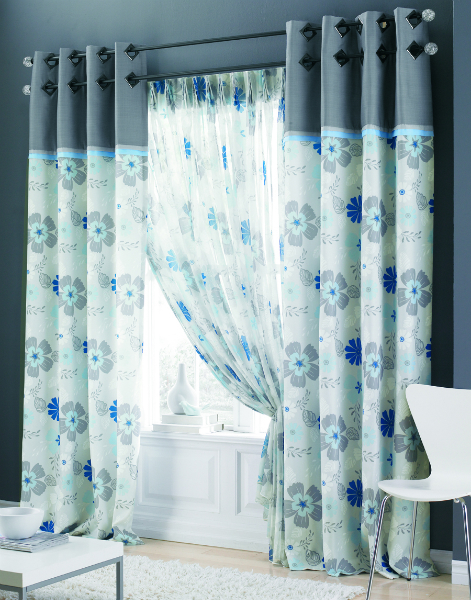 We have over 15,000 fabrics to choose from, as well as a large selection of decorative drapery and trend hardware. To ensure a perfect fit, we will come to your home and measure your window free of charge! Lemay's carries fabrics from manufacturers such as Equus Fabrics, Alendale Fabrics, Unique Fabrics, Antex, George. N. Jackson, Signature Textile, Pride of Paris, Saletex, Aftex, J.Ennis, and many more!